Every view in the remarkable new Rose Garden is breathtaking. 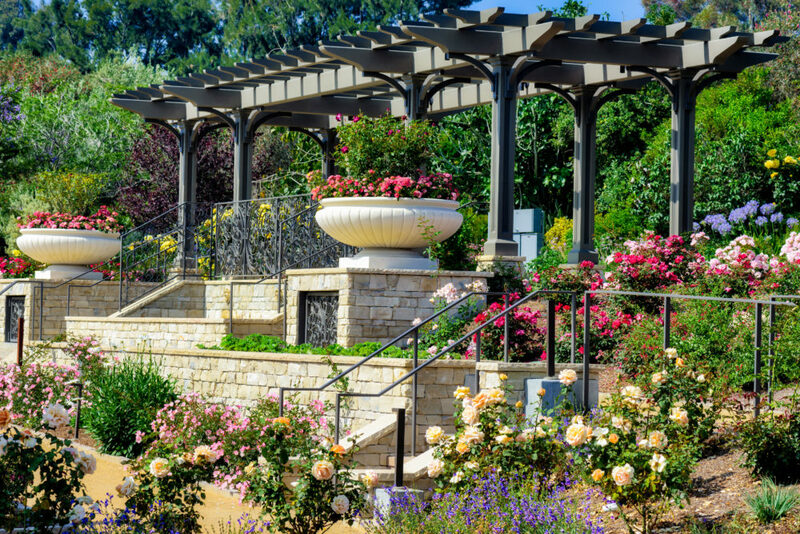 Hand-crafted, wrought iron fence-work depicts rose emblems, rounded staircases gently welcome guests in, rich warm wood tones envelop architectural structures, a large fountain features an exquisite glass mosaic, and of course, colorful roses drip from every crevice. 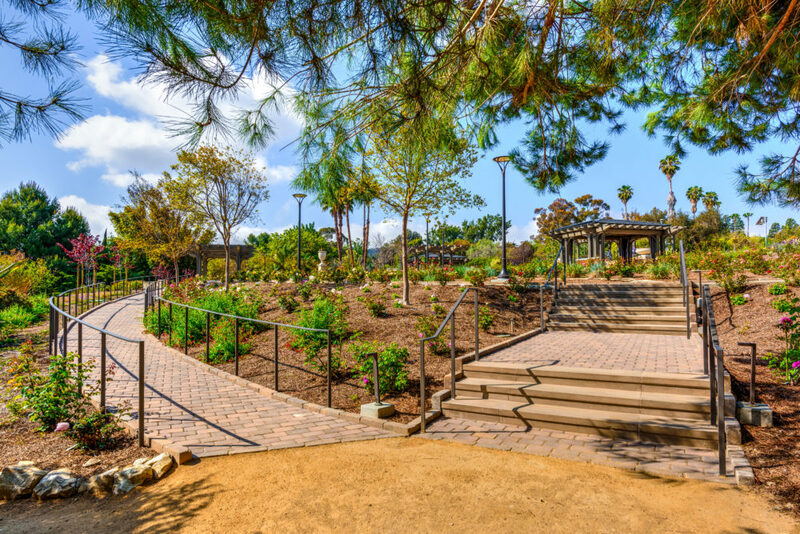 A grand guest entrance provides a magnificent overview of the formally planted space, allowing guests to catch a glimpse of the beautiful symmetrical design created by renown landscape architect, Deborah Richie-Bray, who is known for her work at the Getty Villa. Undulating pathways guide gently through a labyrinth of planted beds and sculptural elements. Two cabana structures flank the central court and provide privacy for honored guests. 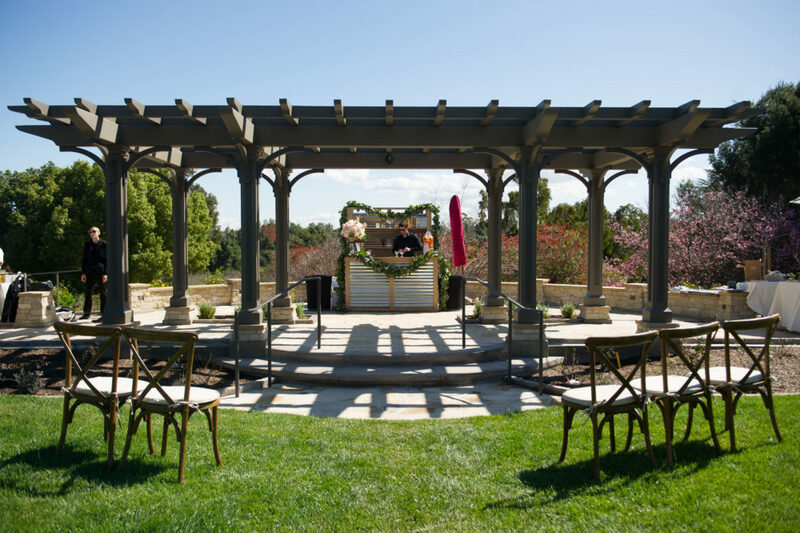 The celebration lawn houses several formal entrance paths that lead to a grand pergola with a raised plaza which can serves as a “stage” for your main event. This venue is perfect for afternoon tea, ceremonies, evening receptions, celebrations of life, birthdays and anniversary parties.